It’s been an interesting summer. We’ve had early heat waves, forest fires, earthquakes, smoky skies. It’s hard to believe that this weekend marks the end of summer operations for Schweitzer Mountain. What’s even harder to fathom is that ski season is less than 100 days away. What better way to mark the transition of the seasons than with beer and lots of it? Schweitzer’s 23rd annual Fall Fest kicks off this Labor Day Weekend, closing out the summer activities on the mountain with style. With over 70 different microbrews on tap from a bevy of regional and national breweries, eight bands playing live music over three days, and the usual fun village and mountain activities available, it looks to be a great event. According to Dig Chrismer, the Marketing Manager for Schweitzer, Fall Fest began over two decades ago as an Oktoberfest type event, with a Schweitzer spin. As with any Schweitzer event, the level of participation is fully up to you. Here’s how it works; those interested in tasting the microbrews can purchase one of the many designs of glassware and commemorative mugs either on the mountain or online at www.schweitzer.com. Despite Schweitzer ordering over 6,400 glasses and mugs, they do sell out, especially the favorite designs each year. After you’ve procured your mug or glass of choice, which includes tokens for tasting the delightful beer rainbow, you may then purchase more tokens. The same deal applies for wine tasting, with special stemless and high quality stemmed pinot glasses available. As usual, Schweitzer would never leave the kids out. 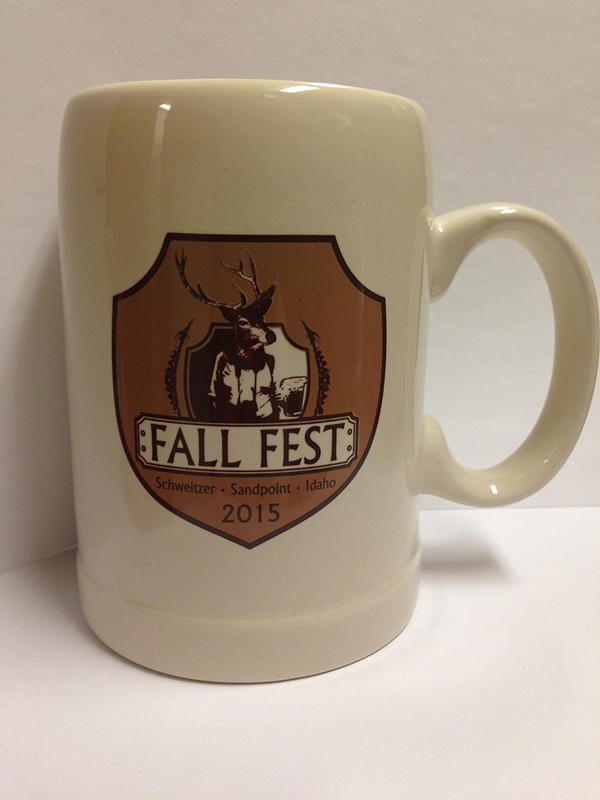 “For ten bucks, kids get their own souvenir Fall Fest soda mugs that change color when it gets cold,” said Chrismer. Kids will then be able to mix different flavor syrups and build the ultimate soda concoction of their dreams. On top of the liquid activities that we all love, the Great Escape Quad will be operational and offering unlimited rides for the single ride price to spirit beer lovers to the summit, where they can check out smoke-free views of the Selkirk and Cabinet Mountains, and a glimpse of Lake Pend Oreille that reminds us all of why we live here. All the summer activities will be in full swing for Fall Fest; the mountain biking trails, disc golf, the monkey jumper, the climbing wall and much more. Though it’s nice to taste more beers than you can shake a stick at, and stay busy with all the outdoor activities and sightseeing on the summit and village, some of the most fun at Fall Fest comes from the excellent selection of bands playing all three days (see the sidebar for a full listing of music). Lodging is already looking pretty full for the weekend, so those who’d like to stay on the mountain should act soon to make sure they get a room to spend the weekend on the mountain. Fall Fest starts Saturday, Sept. 5 and concludes Monday, Sept. 7. Beer tastings run from 11 a.m. to 6 p.m. on Saturday and Sunday and 11 a.m. to 4 p.m. on Monday.